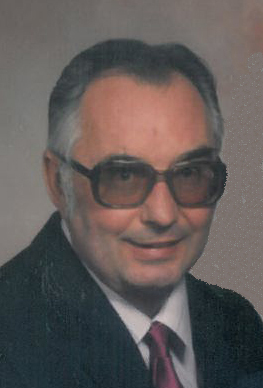 Norbert Jerry Shrovnal, our father at age 88, passed away peacefully at home. He will be remembered for his beautiful decorating of churches in and around Wisconsin. He will also be remembered for property he owned since 1956. He made it one of the most amazing places to be and to see. Our father is preceded in death by his oldest son, Gregory and his loving wife, Gladys. Survivors include his sons, Mike Shrovnal and his forever partner, Cathy Weytens; Steve (Colleen) Shrovnal; and Jerry (Gale) Shrovnal; daughters, Roseanne, Kathy, and Louisa; grandchildren, Jed Shrovnal, Jeremiah Shrovnal, and Charity (Michael) Sweeney; and great-grandchildren, Keagan, Gavin, and Riley Sweeney, and Jocelyn and Jayden Shrovnal. The family would like to extend special thanks to Heartland Hospice, JoAnne and Krystal. Also, to the amazing caregivers who went above and beyond to make him comfortable and happy. We love each of them. They became his family. Thank you, Laurie, Meagan, Kayla, Maddie, Katie, Abbi, Sam, Laura and Jordan.